NORTH BAY — As October 22nd draws closer, local lawns and yards continue to produce a crop of new election signs. Most signs are clear and straightforward, like Peter Gregory’s – his sign states his name, what he is running for (Council), and his motto (“Ideas Matter”). But other signs leave people scratching their heads. One person left scratching is Marv Ricci, a retired local lawyer. He is a self-proclaimed “election sign enthusiast” and he has a bone to pick. But isn’t quite sure with whom. 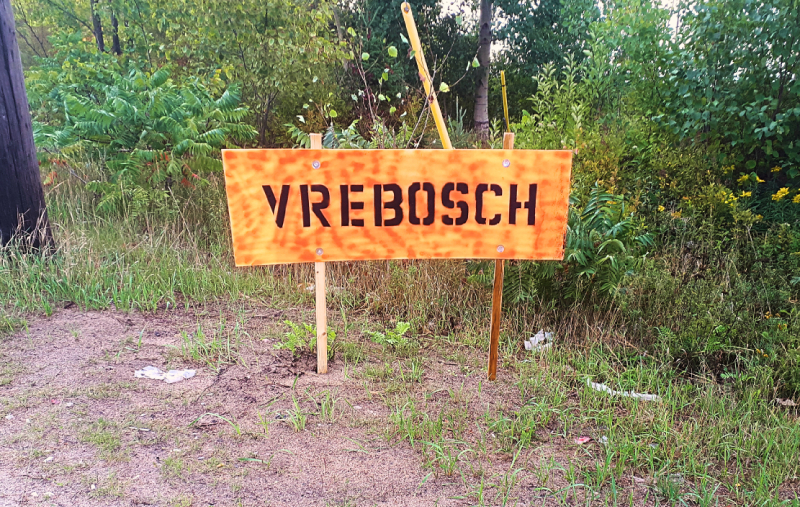 The sign is question is a crude, super wide, orange and black sign that simply says “Vrebosch”. Currently there are two “Vreboschs” running for North Bay City Council: Tanya Vrebosch seeking re-election, and her father Bill Vrebosch, former East Ferris Municipality Mayor. Deeply shaken, Marv Ricci sits on a foldable chair, staring at the mysterious “Vrebosch” sign. The sign remains – a singular, monolithic affront to all that is logical, right and holy. 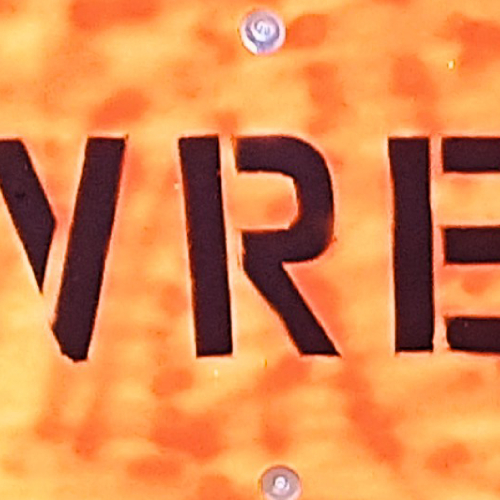 For Marv Ricci and for all of North Bay, no one may ever know what, if any, meaning the “Vrebosch” sign holds. Blowing it a weeeeee bit out of proportion there.